Since Finanical Crisis of 2007-8, austerity has been the dominant theme of UK public policy. Successive governments have sought to cut back on public spending to reduce the budget deficit. Austerity has been a key election issue, with cuts to schools and hospitals featuring prominently in election campaigns. 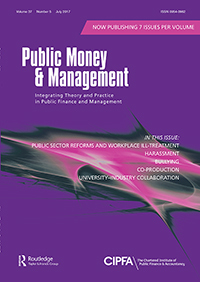 In this new article, with Tyrone Jervier, we set out how public sector cuts have fed into the management of the electoral process. Concerns have been raised that insufficient funding has been affecting the delivery of elections in many countries. This paper presents a case study of England and Wales from 2010–2016. It demonstrates that many local authorities saw major real terms cuts and were increasingly over-budget. Those subject to cuts were less likely to undertake public engagement activities. State efforts to encourage voter participation may therefore be a casualty of austerity. Download the article here (or ask me for a copy).